So who are these ideal tenants and, more importantly, how do we attract them? How do we tempt the tenant who will look after the house, the landlord and the property manager? The best way to answer this is to flip the question on its head, and ask what are THEY looking for. 1. Firstly they want a property in a great position. 2. Next, they look for a property that’s big enough to hold all their “stuff”. 3. Then they want a property that’s clean and in good repair and a property manager who will listen to their needs and pass their requests onto their landlord. 4. Speaking of which, they want a landlord who will maintain the property. 5. Of course, they want privacy, a fair rent and reasonable rent increases. 6. And when they find these things, their final wish is for a long-term tenancy, which means a property that is not likely to be for sale. As a property investor, when you look at that list, is there anything that you would find difficult to provide? 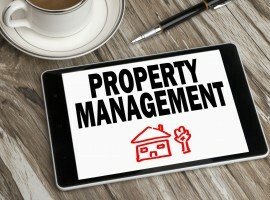 Even in this period of low vacancies, the best tenants in town have a choice of renting the properties they prefer because property managers are comfortable recommending them to their landlords. As an real estate investor you can attract these tenants to your properties. The secret is simple: provide what they want. One of the fundamentals of successful property investing is that the right type of property in the right location will always attract good tenants. So if you want to be a successful property investor buy the type of property that will always be in strong demand. Buy a property that will fulfill many of the criteria listed earlier – which is to say, filling the needs of the tenants. The right locality is a key issue. Good neighbours are what everybody wants and tenants are no exception. When you are looking for an investment, the obvious checklist carries things like parking, transport, shops and amenities, possibly schools (depending on the type of property), you get the picture. Now take note of little things – if the properties in the immediate surrounds are getting rundown, and the nature strips never look mown and the gardens are unkempt, it’s a fair bet your ideal tenant wouldn’t want to live there either. We’re obviously not asking you to live there but consider that you are asking a decent tenant to do so. It’s one of the reasons we recommend you buy apartments in a block where there is a portion of owner-occupiers, not just tenants … ask local agents, take note of the quality of cars parked there, all those things give off signs about the composition of the people living in an apartment building. For example, high-rise buildings in the inner city are usually full of tenants, not owner-occupiers. When times are good they rent well, but when times are tough you’ll find lot’s of “for lease” boards onside these buildings giving you some stiff competition for tenants. I suggest you consider buying in a more boutique, smaller block with character, maybe with up to 10-12 apartments. Be it a house, or an apartment, well-designed floor plans are critical. It’s not always the overall size that’s important but the functionality of design and availability of storage. Good sized rooms are a bonus, however; remember, sharing tenants often use their bedrooms as their living space when they want privacy, so big bedrooms are a bonus. The list goes on…. Avoid properties on busy streets. Choose pleasant, neutrally decorated properties, it might not be to your taste, but you will broaden the spectrum of your potential renting base. Ideal tenants do exist. At Metropole we have many examples where tenants and landlords have operated in peaceful co-existence for quite a few years, each filling a vital role for the other. The trick is to know how to catch them, and then keep them. Wow.. very helpful!! It was great! Good content all you have written here was very useful for those who want to be a good tenant! thank you for your kind to share it!